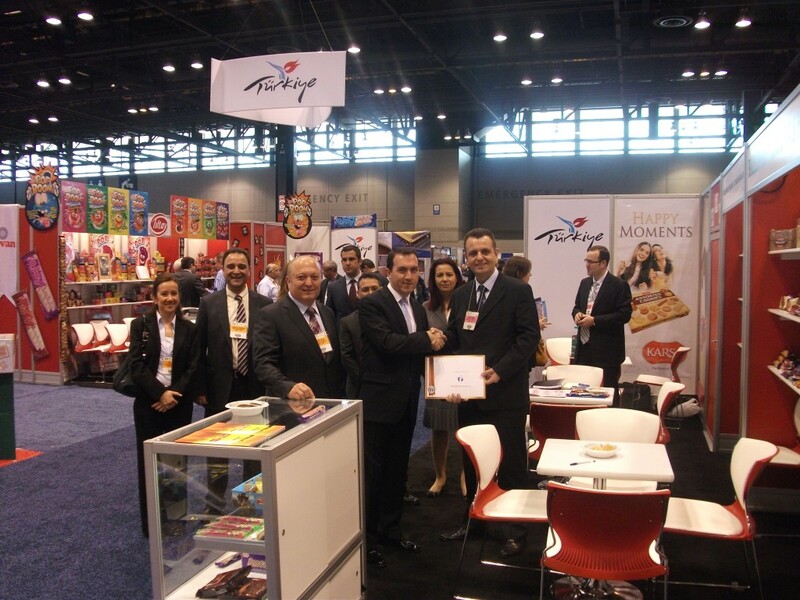 Turkish national participation at the Sweets and Snacks Expo, which is known as one of the largest confectionery, cookie and snacks event in North America, was carried into effect under the auspices of the General Secretariat of Istanbul Exporters' Associations. 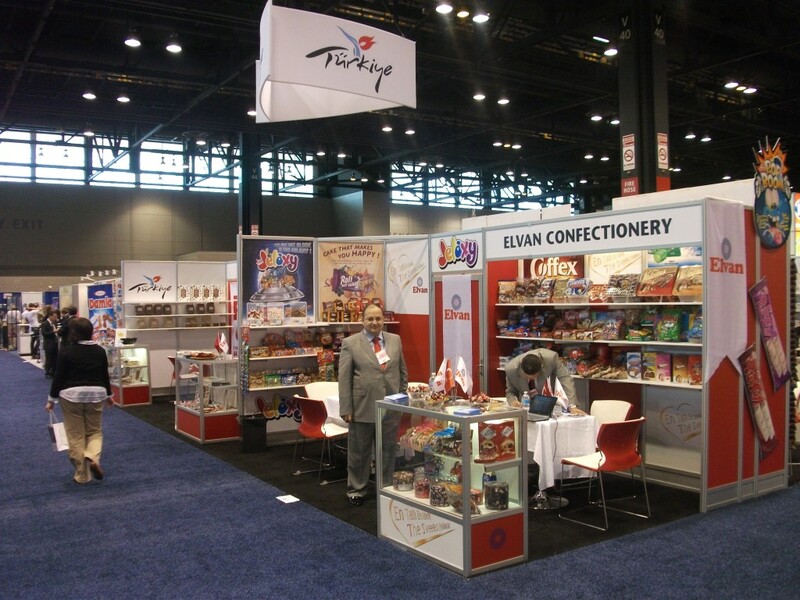 Leading firms from the Turkish Confectionery sector exhibited their products including chocolate, biscuit, confectionary, chewing gum, nuts and other popular snacks on 15 stands in the fair which was held between 24-26th of May at Hall McCormick Place in Chicago/ USA. During the fair our firms seized the opportunity to meet the world's leading companies in the sector and to create new business opportunities. 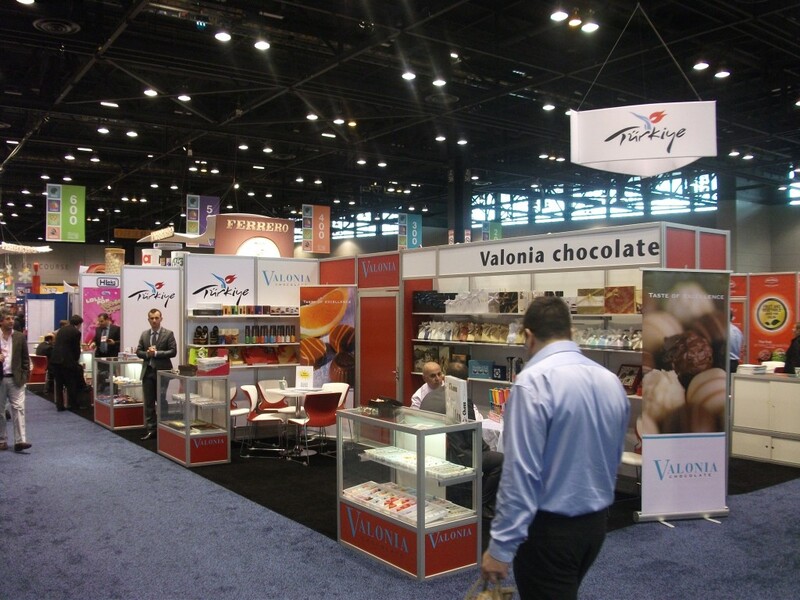 The Sweets and Snacks Expo, is only the show that represents all the major U.S. distribution channels of confectionery and snacks products, hosted about 500 participant companies and attracted more than 14.000 qualified professional visitors around the world. 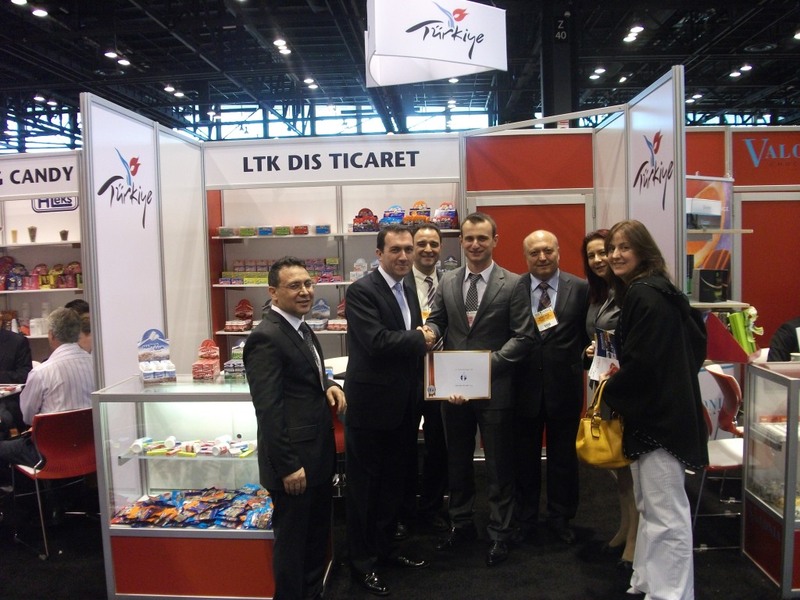 Turkish National Participation was carried out for the 7th consecutive times this year by Istanbul Exporters' Associations under the concept of "Sweet Turkish Taste”. Export volume of Turkey has realized US$ 114 billion in 2010 due to proximity to international markets, strong infrastructure skills and the great expansion of product range. 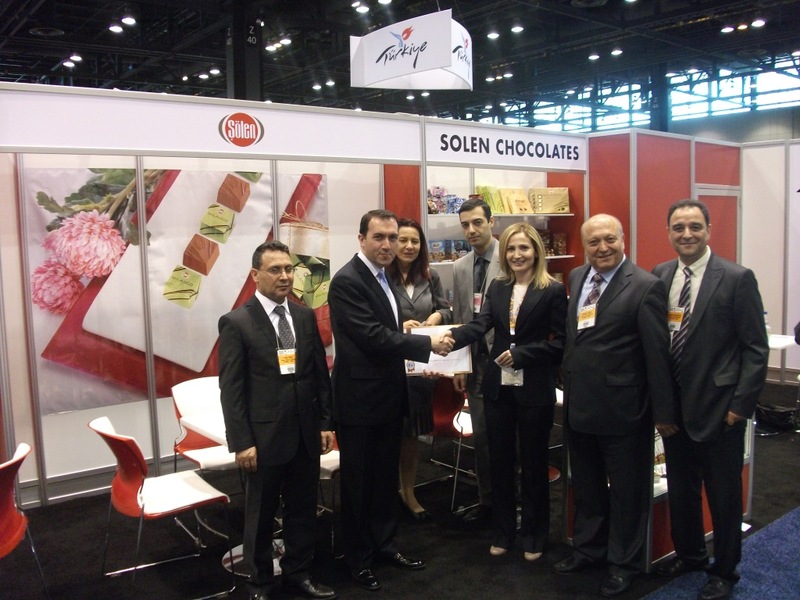 Confectionery sector is one of the leading sectors in Turkey thanks to the technologic investments in production plants and the emphasis placed innovations on confectionery, cocoa products and biscuits manufacturing. 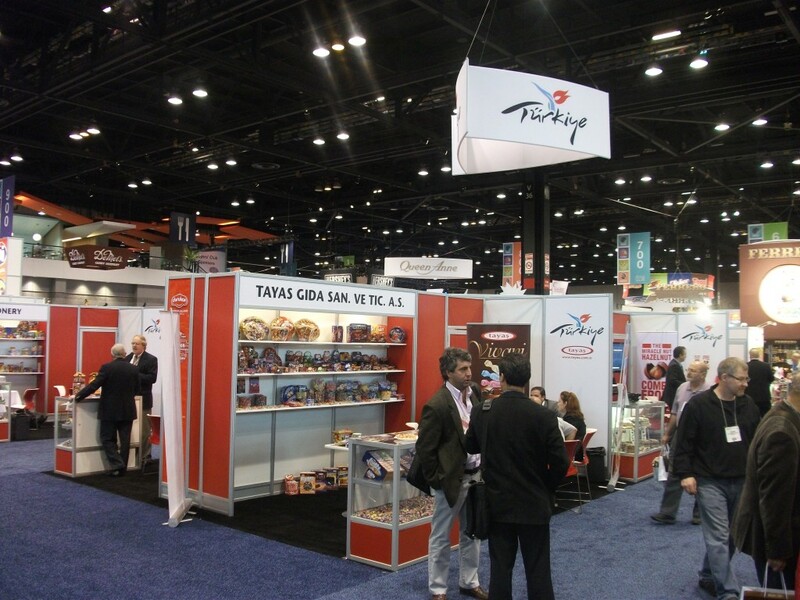 Through the constant developments in the sector, Turkish confectionery export volume has reached US$ 1 billion in 2010. Iraq, Saudi Arabia, Algeria, Germany, Yemen, Libya, the USA, United Kingdom, Bulgaria and Azerbaijan are the top 10 destinations in Turkey's sectoral export. Turkey is amongst the primary fifteen countries which are the largest exporter of sugar confectionery, cocoa products and biscuits in the world. Turkey is also one of the most important supplier countries for many ingredients and raw materials, including hazelnuts, almonds, honey and dried fruits, as well as semi - finished products. Furthermore, it's qualified and well educated human resources, wide spread investments in technology, proximity to the developing countries, EU accession negotiations process, membership of European Customs Union, large domestic market and young population reflect the potent capacity of Turkey's confectionery sector.